BRYAN EATON/Staff photo. 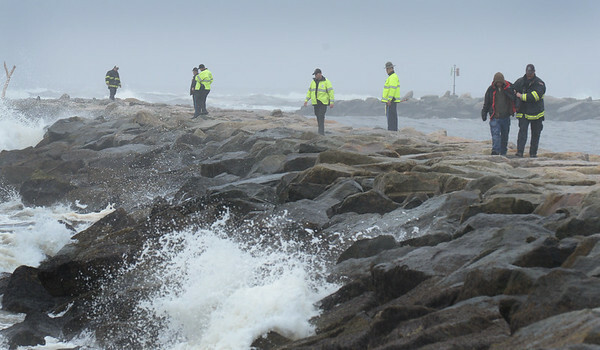 Salisbury fire bring back a man who's boat capsized on the north jetty of the Merrimack River at Salisbury Beach on Tuesday afternoon. Another person, reportedly male, is missing from the vessel.